Give your holiday season some Italian flair and flavor by celebrating at Lucia Ristorante, the cozy Italian restaurant inside Hotel Celeste, located at the corner of San Lorenzo Drive in Makati. A sumptuous Christmas Day lunch awaits you and your loved ones at Lucia. The special menu features dishes that are hearty, comforting and infused with the festive mood of the season for just P749+ per person. Appetizers include Seafood Chowder, Tomato Mozzarella and a salad bar for more options. Feast on delectable main courses such as Mushroom Risotto, Chicken Stew with Schublig Sausage, Pork Ham Rolls and Parmesan Crusted Fish Fillet with Caper and Lemon Butter Sauce. There will also be live stations for freshly made pasta and juicy roasted turkey with cranberry sauce to complete the feast. For desserts, choose between Lucia’s creamy gelato, sinful chocolate cupcakes or s’mores –- or better yet, why not indulge in all three? Looking for a cool spot to welcome 2016? Say “Salute!” to the New Year with Lucia’s New Year’s Countdown to be celebrated at the roof deck of Hotel Celeste! Drop by from 10 p.m. onwards on Dec. 31 for a cocktail party right at the heart of bustling Makati for just P800 to celebrate the year that was and the year ahead that’s brimming with possibilities. Family, friends and your favorite drink in hand -– sounds like the best way to greet the New Year! 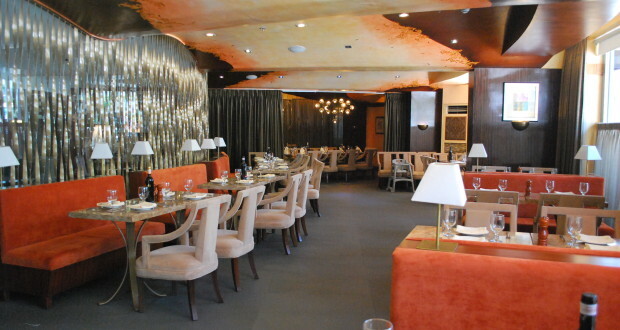 Lucia Ristorante is located at Hotel Celeste, 2 San Lorenzo Drive corner A. Arnaiz Avenue, San Lorenzo, Makati City. Call 836-0023 for reservations and follow Lucia on Facebook (facebook.com/ luciaristoranteph) for updates.